In a zipper bag, combine the olive oil, white wine vinegar, lemon juice, garlic and herb seasoning, ground black pepper and dill. Add chicken and seal. Stir to coat chicken breasts completely. Let stand for 10 minutes. Remove chicken breasts from marinade, discard marinade, and grill chicken for 8-10 minutes on each side, or until juices run clear and an instant-read meat thermometer inserted into the thickest part of a breast reads at least 160 degrees F.
Remove from grill; let stand for 5 minutes. 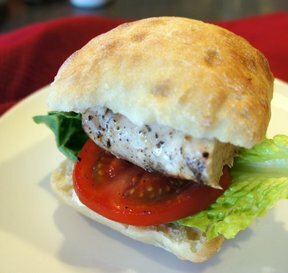 To assemble sandwiches, spread mayonnaise on cut sides of bun; top with lettuce, tomato, salt and ground black pepper to taste, and chicken breast. "The chicken was tasteless and dry. The marinade needed more seasoning, (salt??) 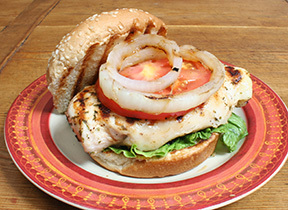 or more than 10 minutes to add any flavor and tenderize the chicken breasts. Glad I tries this out before serving to guests." 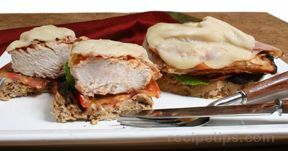 "I'm not the biggest chicken fan, but this was delicious! 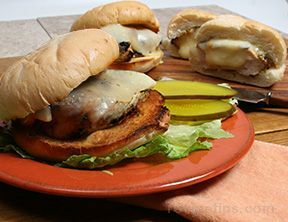 I think it was the dill and that the chicken was super moist."